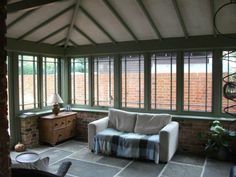 At Windows Doors UK, our range of folding doors, sliding doors, bi-folding doors, French doors and Patio doors are suitable for use as a back door for your property. 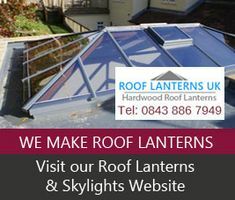 All of our products are made to the highest quality and offer weather resistance, durability and thermal efficiency, as well as high-quality, luxury appeal. No matter what style of back door you choose, you can be assured that you will receive a high-quality product that is both aesthetically pleasing and meets the practical demands of daily life. Our expert craftsmen combined with the modern technology in our joinery manufacture flawless window and door products, paying meticulous attention to detail. At Windows Doors UK, we offer timber, hardwood and aluminium back doors that can be made into bespoke options. We generally recommend aluminium for more modern properties and commercial buildings, while hardwood and timber work extremely well in more traditionally styled homes. That said, modern homes can also look great with timber and hardwood features, it ultimately comes down to personal choice. 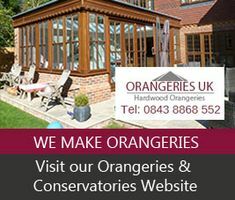 Our hardwood options include sapele, idigbo and oak as standard, however, we should be able to help should you want a different choice of wood. 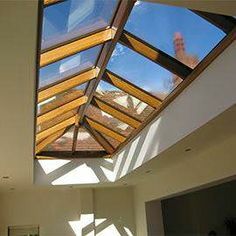 If you are looking to save space in the surrounding area to your back door (perhaps it is connected to a small kitchen or dining room area), you may want to look at our range of bi-fold doors or folding sliding doors, since these door styles take up much less space. On the other hand, if you would like a more prominent back door entrance, then you may wish to consider a French door or patio door for a grand, yet elegant, entrance. Our back doors are available in both standard and non-standard sizes. At Windows Doors UK, we understand that it is important to have a unique element to the doors for your home and, therefore, can make your back doors exactly to your specifications. 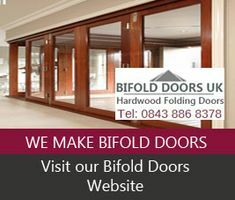 Bespoke Doors & Folding Bi-fold Doors: 30000 mm x 1000 mm, 3000 mm x 12,000 mm. You can customize further aspects of your back doors. We offer a wide range of glass panelling and ironmongery options, as well as a wide range of Farrow and Ball colours and wood stains. Whether you want large glass panels or a completely opaque oak back door, we can help you here at Windows Doors UK. 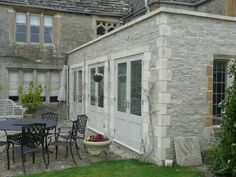 For some more information on the back doors, give us a call on 0843 886 7763.